Witherspoon Partners is the resource for unique asset managers and firms looking to grow—and for investors seeking differentiated, high-returning investment opportunities. As outsourced strategy and marketing expertise, Witherspoon Partners helps exceptional alternative asset management firms of varying sizes and stages to grow their business through hands-on business development consulting. 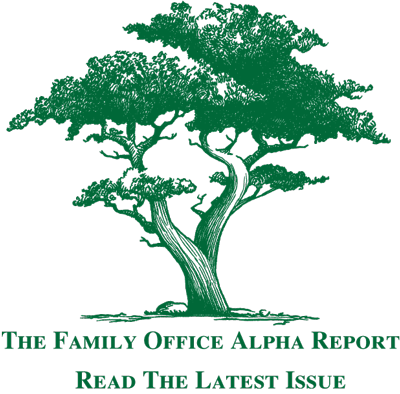 Our wholly owned subsidiary Witherspoon Capital Partners LLC, a FINRA-registered broker dealer, raises capital for managers and operators and provides a curated, diverse, and differentiated range of alternative investment opportunities for family office and institutional investors. and that are generating strong uncorrelated returns for investors. Witherspoon Partners offers high-touch business development strategy consulting to help grow both newer and established firms to the next level. Marketing and communications expertise is at the heart of our advisory, giving firms the ability to focus on their core competency. Witherspoon serves as a true a partner in expanding a firm’s business; as such, we dedicate resources and time to the process of thoroughly understanding our clients and their goals. Witherspoon Partners provides access to a broad pool of investor relationships spanning from high-net-worth individuals and single family offices to larger pension and sovereign wealth funds. We raise capital through our FINRA-registered broker-dealer subsidiary, Witherspoon Capital Partners. Our understanding of deal structures facilitates even the most complex transaction execution and aligns interests of all parties. Witherspoon Partners connects investors to a curated deal flow of differentiated and high returning investment opportunities. The opportunities we represent, which span the alternative asset classes—private equity, real estate, venture, hedge funds, shipping, biopharma and others—all possess or are backed by solid track records, significant validation, and the pedigrees of the principals. With decades of experience in the industry gleaned from both sides of the allocation table, the Witherspoon Partners team works to identify and evaluate promising, high-quality managers and operators. We source compelling strategies and firms that we believe offer high value-add to investors. Keith Danko is the Founding Partner and Managing Member of Witherspoon Partners. Mr. Danko has over two decades of experience building and managing businesses, much of it as a leader in the alternative assets industry. Most notably he restructured and served as CEO and CIO of ACAM Advisors (the former Allied Capital) where from 2003 to 2007 he managed top-quartile fund of hedge funds portfolios for large institutional clients, created and managed the ACAM ACES (Asset Class ETF Select) Fund, and developed several nine-figure institutional relationships. During Mr. Danko’s tenure at ACAM the equity value of the firm increased by 900%. 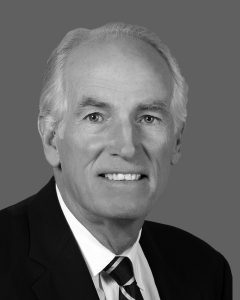 Prior to founding Witherspoon Partners Mr. Danko served as CEO of CQS US and was also a Partner at Titan Capital. At CQS he managed the launch of the US business, including SEC registration, and established the CQS brand and marketing effort in the Americas. At Titan he embarked upon a turnaround of the firm, including the development of the Titan Asia Fund and the Hong Kong office, working with Hong Kong, Singapore, and Japanese investors and regulatory regimes. Mr. Danko began his career at Goldman Sachs, where he served as an Executive Director and headed international mortgage securities. A pioneer in the global asset securitization market, he developed the first UK sterling multi-tranche mortgage issue and the first UK auto receivables securitization, and he introduced and sold the first UK subordinated mortgage securities into the Japanese institutional market. These transactions were the first-pound sterling mandates for UK issuers in the history of Goldman Sachs. After seven years at Goldman, he left to found Minnisink Partners and the registered investment advisor Witherspoon Investment Management, as well as the software company Tachyon Systems. Mr. Danko earned a BA from Duke University and an MBA from Harvard University and is a graduate of The Lawrenceville School. He is a regular contributor to SmartBlogs/SmartBriefs on Leadership, and has published numerous research pieces, including in 2005 the influential white paper, Portable Alpha: An Updated Perspective. He holds FINRA Series 7, 24, and 63 licenses. Phoebe Outerbridge is a Managing Director of Witherspoon Partners. Ms. Outerbridge has 25 years of experience as a marketing and communications professional, working for institutions ranging from Shearson Lehman Brothers to Princeton University. 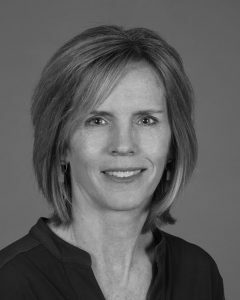 Before joining Witherspoon Partners in 2015, Ms. Outerbridge was Marketing Project Manager for Cybergistics, a health information management company. Prior to this Ms. Outerbridge crafted communications for clients in diverse industries, in addition to holding positions at a pharmaceutical advertising agency, The Lawrenceville School, and Princeton Day School. Ms. Outerbridge started her career in Bermuda where she served as advertising manager for Gibbons Management Services, Ltd., a retail, banking, and insurance conglomerate. Ms. Outerbridge served on the Board of Trustees at Princeton Junior School for 16 years, most recently as President, and for 10 years at Planned Parenthood Association of Central and Greater Northern NJ. Ms. Outerbridge earned a B.A. from Colgate University and is a graduate of The Taft School. She is a member of the Queenston Hockey Club (UWHL). She holds FINRA Series 7 and 63 licenses. Jim Butler is a Senior Managing Director of Witherspoon Partners. Mr. Butler spent the majority of his career at Credit Suisse First Boston, where for over two decades he was responsible for all taxable fixed income sales (high grade and high yield, cash, and derivatives) for a wide variety of institutional investors such as BlackRock, MetLife, New York Life, Northwestern Mutual, and John Hancock, and for public funds such as the State of Wisconsin and the Public Funds of Ohio. His responsibilities included corporate and mortgage securities and private placements, short-term, corporate, and municipal fixed income products. 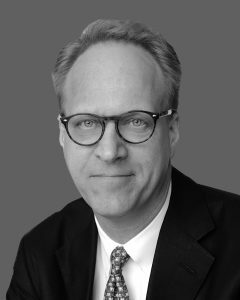 Following his tenure at Credit Suisse, Mr. Butler held senior sales positions at Barclays, Lazard Freres, Jefferies, and from 2009 until joining Witherspoon Partners, at Seaport Group in New York. At Seaport, he served as Managing Director, Sales, and significantly expanded the firm’s relationships with major institutional clients. Mr. Butler earned a BA from the University of Notre Dame and an MBA from Indiana University. He holds FINRA Series 7, 24, and 63 licenses. Sebastian Man is a Senior Advisor to Witherspoon Partners. 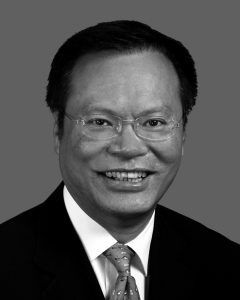 Born and raised in Hong Kong, Sebastian Man is the Chairman and CEO of Chung Mei International Holdings Limited, a company he acquired in 1990. Chung Mei manufactures household appliances for major international brands such as Delonghi, Goldair, Breville, Sunbeam, and Vornado, makes radiators and related heating products, and manufactures espresso machines for SGL Italia. Mr. Man is an executive committee member of Pearl River Delta Council, Federation of Hong Kong Industries, a member of the Court of The University of Hong Kong and Vision 2047 Foundation, and a council member of The Better Hong Kong Foundation. Since 1999, Mr. Man has been a board member of the Chinese People’s Political Consultative Conference Shenzhen-Baoan Committee and is also the Vice Chairman of the Return of Chinese Fellowship Association, Shenzhen-Baoan. He is a Councilor of Hunan Youth Exchange Promotion Association Ltd., and is an Executive Committee Member of the International Chamber of Commerce, Hong Kong China Business Council, and is a director of the Pacific Basin Economic Council. Mr. Man was Co-President of the Harvard Business School Association of Hong Kong and is now a director of the Association. He serves on the Board of Trustees of Cate School (California), and the Board of the Corporation Development Committee. Mr. Man holds a BS and MS in Mechanical Engineering from MIT and earned an MBA from Harvard Business School. Anthony Lukas is a Senior Advisor to Witherspoon Partners. 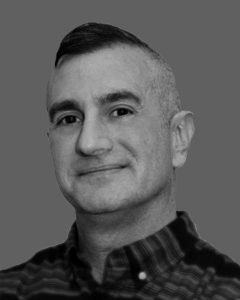 Mr. Lukas has an extensive background in creative marketing and branding solutions for advertising agencies, retailers, manufacturers, and service industries, with an emphasis on content creation and social media. In 2004 he founded Stunt Double Industries, a full-service retail-creative boutique. He currently serves as Stunt Double’s marketing director. He is also the producer of On Side Up, a strategic creative content company that develops content and screenplays. Mr. Lukas also specializes in licensing development and acquisition. Having acquired the Pan Am master license to develop in-house, he pitched the script concept for Pan Am, the period drama that premiered on ABC in 2011. Prior to creating Stunt Double, Mr. Lukas worked on all sides of the advertising business for companies such as MSNBC, Showtime, Ford, Coca-Cola, and Head Sports. Mr. Lukas earned a B.S. from Spring Garden College in Philadelphia. Understanding today’s market drivers, investment trends and investor preferences is paramount to success. Witherspoon is cognizant of the ever-changing investment landscape, including the institutionalization of family offices, increase in direct investing and managed accounts, and other dynamics. We are a team of senior professionals who incorporate decades of expertise and seasoned perspective into our advisory and execution. There is a prevailing feeling among investors that we are late in the cycle, with overpricing a worry across markets, whether in public/private equity, or in real estate. Following a historically long bull market, people are also worried about market corrections and rising interest rates, among other concerns. However, there are ample pockets of opportunity for those who are willing to look off the beaten path, all which can offer unique alpha to a portfolio. Scholar, leader, and patriot. 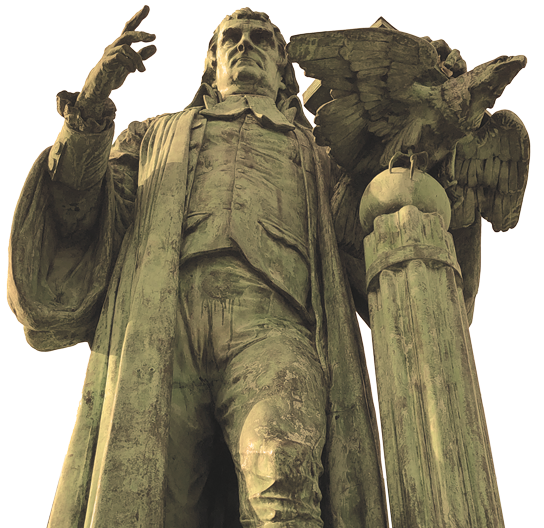 An influential minister who emigrated to America to become president of what would become Princeton University, he was a delegate to the Continental Congress, a signer of the Declaration of Independence and a Founding Father of the United States.